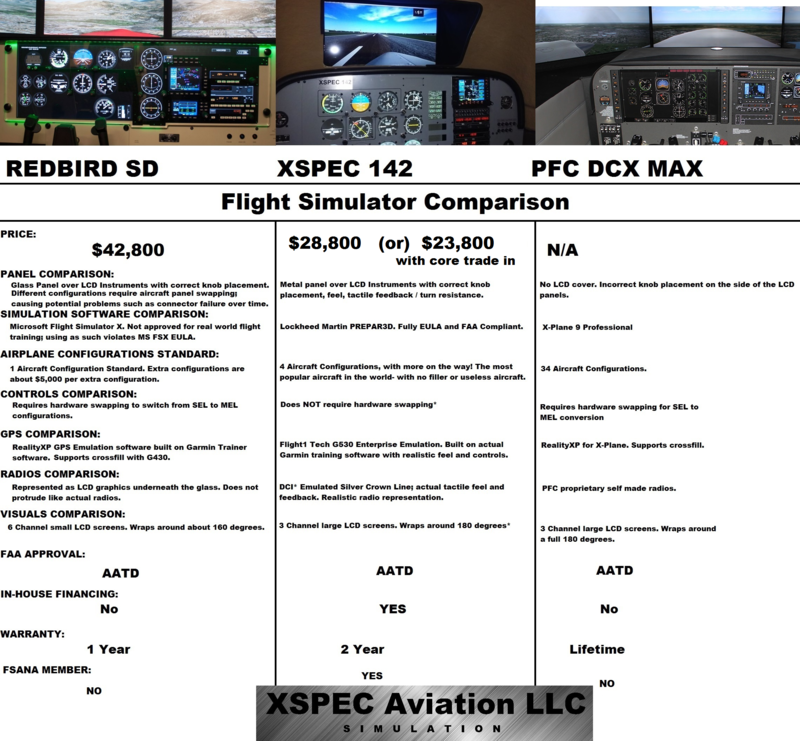 XSPEC Aviation "Expect Aviation" specializes in re-manufacturing pre May-2008 Flight Simulators (AST / FRASCA). 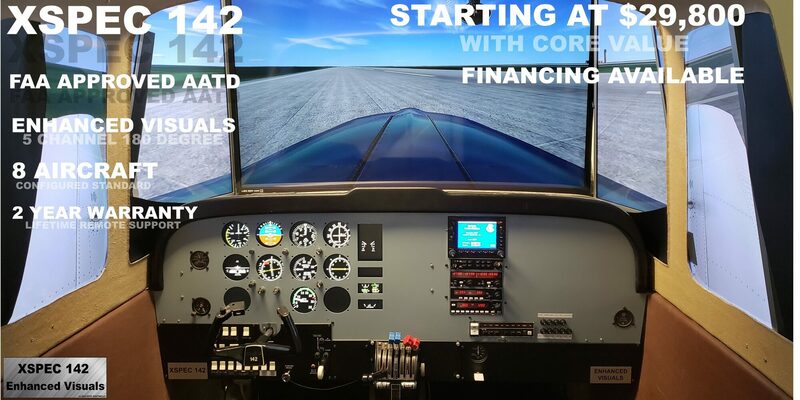 Re-manufactured from AST / FRASCA cores, your flight school is able to acquire a very high quality training device at a much lower price than a new simulator from a competitor. 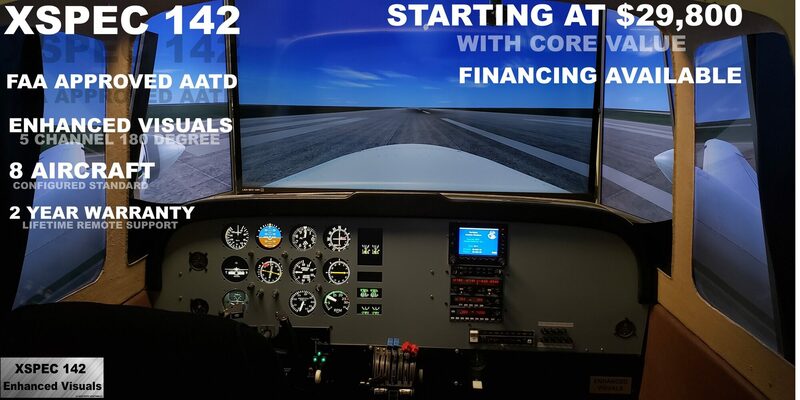 We are the first company to successfully re-manufacture the FRASCA 142 into an Advanced Aviation Training Device (AATD) and the first to become an FAA approved simulator re-manufacturer. We build training devices with the latest in modern technology. 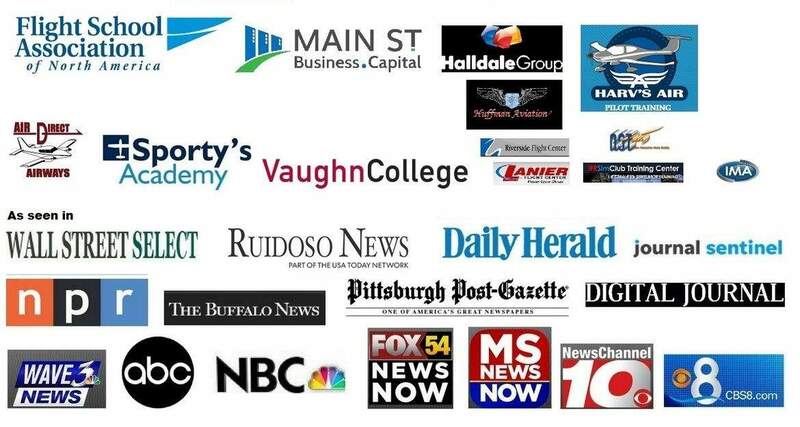 You can trust our experience in the industry. 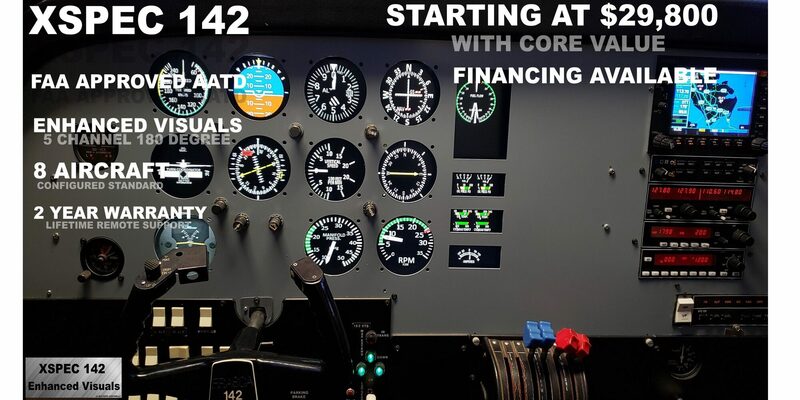 William Hill has over 30 years in the Aviation industry (8130 Avionics); while Aaron Hill is an award-winning programmer. XSPEC Aviation is a family owned & operated company since 2008; please click here to learn more. 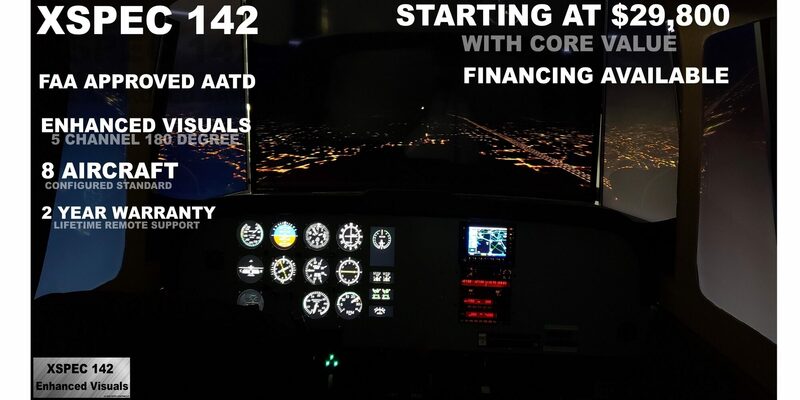 Compared to the competition, the XSPEC 142 can provide your flight school with the most competitive investment in an AATD. 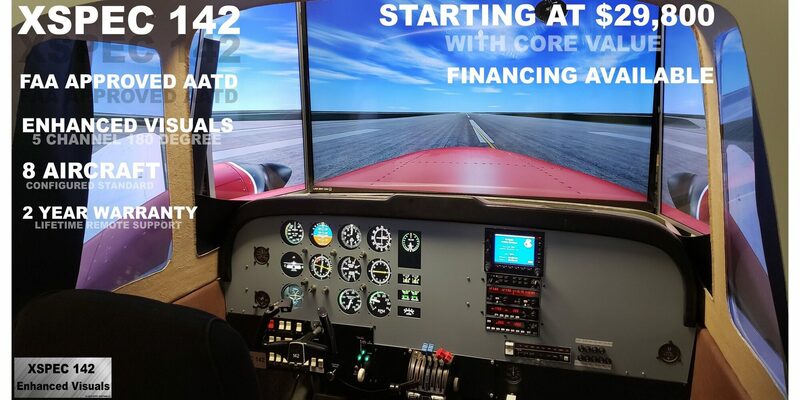 We offer the most affordable financing available on our flight simulators; competitive rates from Main Street Business Capital will ensure you can easily pay for your XSPEC Aviation training device. 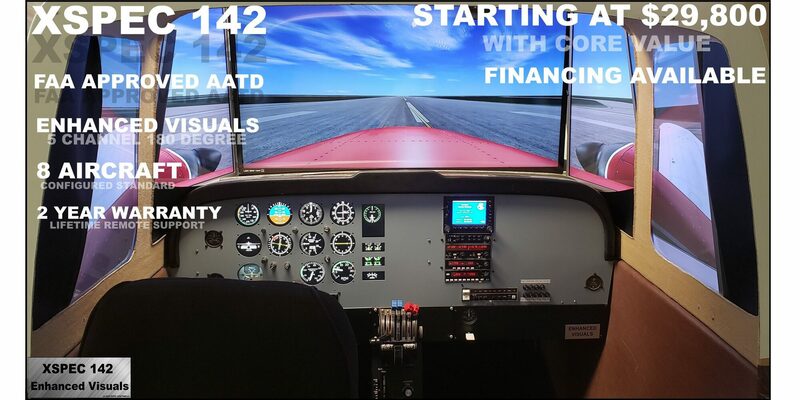 The XSPEC 142 is our flagship device, developed to meet the growing needs of flight schools for realistic, cost effective training. 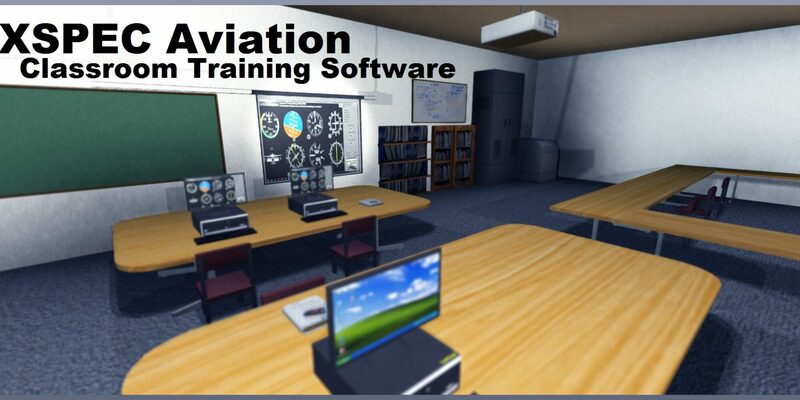 Our XSPEC Classroom Training Software is our educational STEM software that replaces the need for the traditional whiteboard approach to helping students visualize instrument behaviors during flight. It is built on the same software used in our FAA Approved XSPEC 142 AATD. "PRIMUS 1000" and "PRIMUS" are properties of Honeywell International, Inc.
"KINGAIR 350" and "KING AIR" are properties of Beechcraft Corporation. 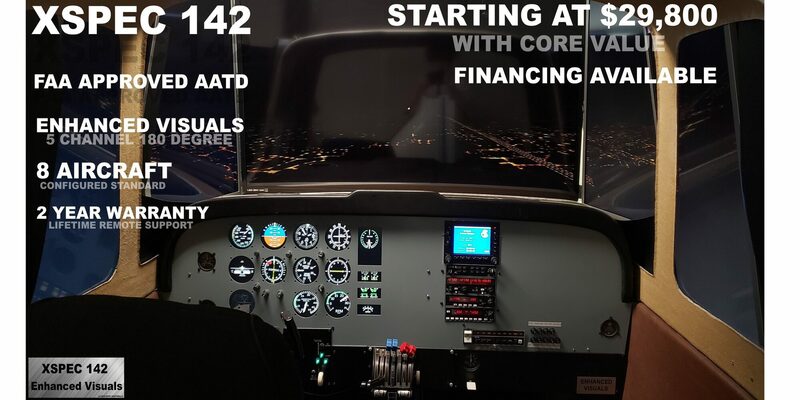 "GARMIN 530/430" and "GARMIN" are properties of Garmin Ltd.
"FRASCA" and all likenesses are properties of Frasca International, Inc.
XSPEC Aviation LLC is not affiliated with or endorsed by any aforementioned entities. © 2019 XSPEC Aviation LLC.